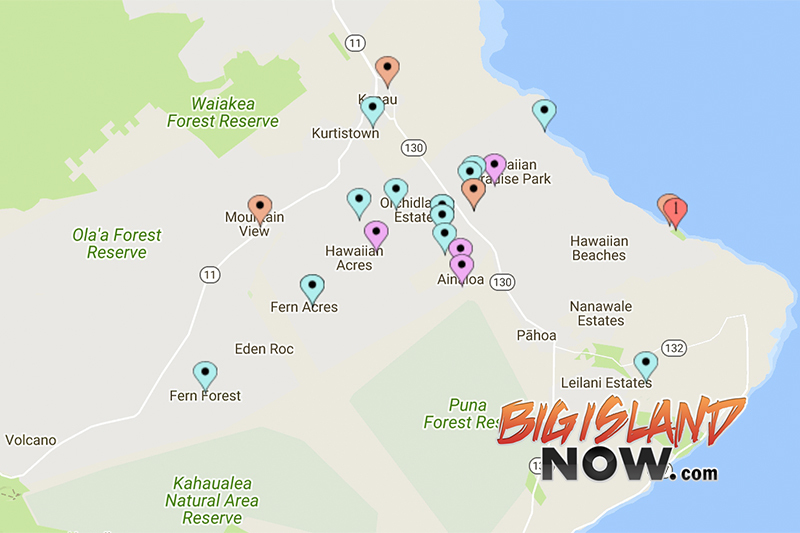 Click HERE to see an interactive copy of the Puna District Crime Map to the left. Click on the flags to view crime details. Locations are as accurate as this technology allows. Hawai‘i Police Department’s Puna Community Police responded to 16 burglaries, one robbery, four vehicle thefts and four vehicle break-ins in the Puna District over a 14-day period from July 1 to 15, 2017. Of the four vehicles reported stolen, one has been recovered at the time of this report. 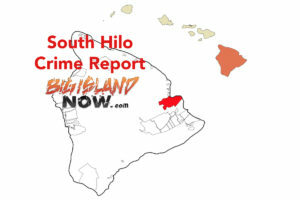 Also see “BIG ISLAND NOW CRIME STORIES” below for Big Island Now articles about specific incidents, including information about those wanted on bench warrants as of publication of this article. 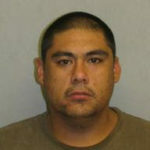 July 1: victim reported that suspect(s) entered his residence on Ipuaiwahea Street in Kea‘au and removed a hand gun. July 1: victim reported that suspect(s) entered his residence on 30th Avenue in Hawaiian Paradise Park and removed currency. July 4: victim reported that suspect(s) entered his residence on 37th Avenue in Orchidland and removed currency and other miscellaneous items. July 4: victim reported that suspect(s) entered his residence on Lehua Street in Fern Acres and removed miscellaneous items. July 6: victim reported that suspect(s) entered her residence on Beach Road in Hawaiian Paradise Park and damaged electronic items. July 8: victim reported that suspect(s) entered his residence on Melia Street in Orchidland and removed electronic items. July 8: victim reported that suspect(s) entered his residence on Melia Street in Orchidland and removed miscellaneous items. July 10: victim reported that suspect(s) entered his residence on 40th Avenue in Orchidland and removed currency, electronics and other miscellaneous items. July 10: victim reported that suspect(s) entered his residence on 25th Avenue in Hawaiian Paradise Park and removed electronic items. July 12: victim reported that suspect(s) entered her residence on 37th Avenue in Orchidland and removed jewelry and yard equipment. July 14: victim reported that suspect(s) entered his residence on Auli‘i Street in Orchidland and removed currency, yard equipment and electronic items. July 14: victim reported that suspect(s) entered her residence on Hinalo Street in Pāhoa and removed electronic items. July 14: victim reported that suspect(s) entered his residence on 27th Avenue in Hawaiian Paradise Park and removed appliances, yard equipment and electronic items. July 14: victim reported that suspect(s) entered his residence on Lehua Street in Fern Acres and removed building materials. July 15: victim reported that suspect(s) entered his residence on Ao Road (Road 2) in Hawaiian Acres and removed music equipment and instruments. July 15: victim reported that suspect(s) entered his residence on Uluhelemalu Road in Fern Forrest and removed building materials. July 12: victim reported that the suspect stole his vehicle after the suspect pointed a hand gun at him on Government Beach Road in Pāhoa. July 2: victim reported that the suspect removed his vehicle from his residence on Paradise Drive in Ainaloa. July 9: victim reported that the suspect removed her vehicle from her residence on Tiki Road in Ainaloa. July 10: victim reported that the suspect removed his vehicle from his residence on 21st Avenue in Hawaiian Paradise Park. Vehicle has since been recovered. July 12: victim reported that the suspect removed her vehicle from her residence on Moho Road (Road 8) in Hawaiian Acres. July 1: victim reported that suspect(s) entered his vehicle on 30th Avenue in Hawaiian Paradise Park and fled without the vehicle when approached. Nothing was removed from the vehicle. 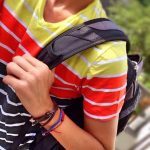 July 4: victim reported that suspect(s) entered his vehicle on Government Beach Road in Pāhoa and removed a backpack and wallet. July 9: victim reported that suspect(s) entered his vehicle on Highway 11 in Mountain View and removed tools. July 14: victim reported that suspect(s) entered her vehicle on Milo Street in Kea‘au and removed a purse. July 3: Wanted man identified: Eric Wilson, Jr. The Hawai‘i Police Department’s Puna Community Police ask residents and visitors alike to take the role as an observer: Watch for suspicious activity and notifying the police. You can make a difference! To inquire about a neighborhood watch in your area or if you would like to start one, contact a Puna Community Police officer at (808) 965-2716.